Laurel Great simple gloves "These are pretty much everything you could want in an affordable glove. Good material and construction and the fit is consistent with other gloves. 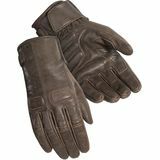 They aren't too hot in the summer and they are a great basic glove for the price."